Among other fleeting aspirations, I had an aspiration to be a palaeontologist when I was sixteen. Likely a result of my infatuation with Jurassic Park, I even researched the Canadian universities that offered paleontological and archaeological programs. I was reminded of this aspiration on Sunday as I hiked through the beaming sun to explore archaeological sites and caves at the Cradle of Humankind. 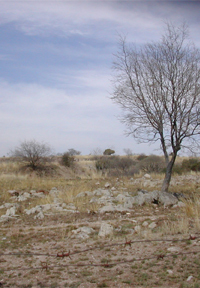 Located about an hour outside of Johannesburg, the Cradle of Humankind is a World Heritage Site that has produced some of the oldest hominid (human ancestral) fossils ever found, some dating back as far as 3.5 million years ago. In fact, one of the caves we visited at Sterkfontein has produced more than a third of all early hominid fossils ever found. In addition to hominid fossils, archaeologists have discovered hundreds of tools that were used during the Stone Age and even early evidence of the use of fire. 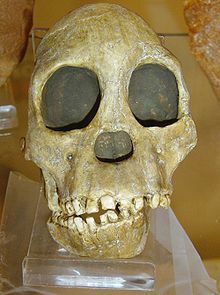 Hominids may have lived all over Africa, but their remains are found only at sites where conditions allowed for the formation and preservation of fossils. 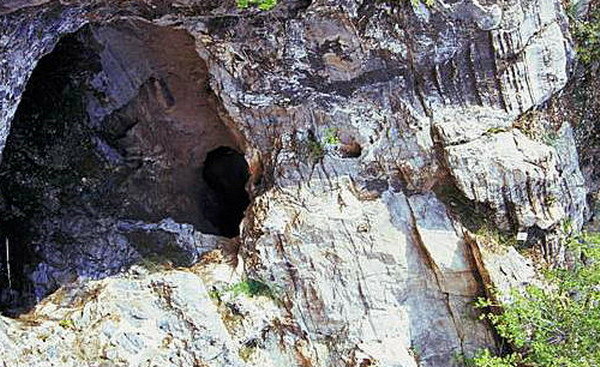 In this region, layers upon layers of sediment filled a series of caves and preserved many of the remains that had somehow found their way inside. The process to uncover the caves and to recover the fossils in the rock is very difficult and astonishingly slow (although in the realm of a few millennia, what’s a mere decade or two?). In addition to Sterkfontein, we also visited a site called Bolt’s Farm with similar conditions that allowed for the preservation of fossils. At Bolt’s Farm, fauna has been discovered that includes ancient fossils of elephants, pigs, antelopes, a nearly complete skeleton of a sabre-toothed cat, and various rodents. As many of these species and early hominids are now extinct, leaving few marks of their early existence, I couldn’t help but reflect on our own existence as I walked over the barren fields and entered the uncovered caves. The fossils provided a timely reminder of the fact that our own existence may be fleeting (at least in the realm of time) – and the unfortunate reality that unlike these other species, our extinction may actually be brought about by our own demise. In relation to this notion, the international environmental summit recently opened in Durban, South Africa. The summit is supposed to bring the international community together to set targets to reduce greenhouse gas emissions (potentially saving ourselves from the fate of a future archaeological dig). But as reports suggest, the international community will likely be beating an empty drum – as this morning’s Globe and Mail headline states: “As Durban conference opens, little hope for a climate-change agreement”. Canada being the single worst carbon emitter per capita is one of the most guilty – and I’ve already experienced a few jibes this morning that further demonstrate our eroding international reputation concerning the environment. 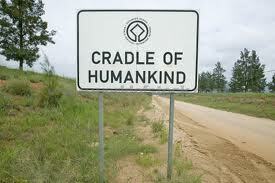 Putting post-apocalyptic theories aside, the walk through the Cradle of Humankind was an interesting and informative one. It also provided me with the assurance that I chose the right field – law rather than paleontology. I realized that I don’t have the patience for archaeological discovery (one archaeologist actually spent a decade simply uncovering one of the caves after a few miners had upset the site!). I’m therefore happy to return to the office on Monday morning – sunburn and all – to work on the files that await my attention. In fact, on top of my desk is a constitutional challenge based on the right to a clean environment with the objective of reducing greenhouse gas emissions in South Africa – law has its own bearings on archaeology afterall.